Welcome to Part 2 of my introduction to Black Seed Oil and it’s amazing health benefits. In Part 2, I will look at what does Black Seed Oil do and how it works. Catch up on Part 1 here if you want to learn more about the historical use and the modern research and studies into it. Anti-oxytocic (induces contractions) – NOT SUITABLE DURING PREGNANCY! 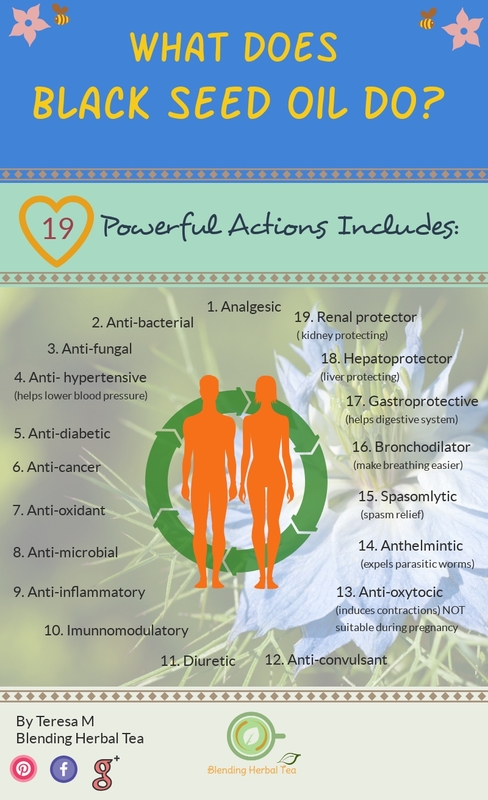 There is no other herb known to work with such a wide range of healing capabilities. The Black Seed and the oil derived from it is considered safe to take every day as a home remedy for boosting good health and preventing disease yet it is also powerful enough to treat almost all of the chronic diseases that is so prevalent in society today. It is able to help in preventing disease from taking hold plus it can help you fight any existing disease you may already have. It is both prophylactic and curative. It is also ideal for the first aid herbal kit – to calm minor burns, insect bites, stings, bruises, bumps, cuts and grazes. The nutritional profile of the Black Seed is quite staggering in its complexity. More than 100 different substances have been identified so far and it is likely that more will be discovered in future research. The three key natural compounds present in Black Seed are Thymoquinone (TQ), Thymohydroquinone (THQ) and Thymol. Most of the therapeutic compounds of this plant are mainly due to the presence of TQ which is the major bio active chemical component of the essential oil. All three compounds showed 100% inhibition for the 30 different pathogens evaluated. TQ was the best anti-fungal compound against all of the tested dermatophytes and yeasts, followed by THQ and Thymol. Thymol was the best anti-fungal against moulds, followed by TQ and THQ. 26 Fatty Acids in total – approximately 15% consists of 8 saturated fatty acids and 80% of 18 unsaturated fatty acids. The unsaturated fatty acids include linoleic acid (Omega-6); the two most essential Omega-3’s – EPA and DHA, both of which are normally found in food products such as fatty fish (salmon, sardine, herring, mackerel) and nuts and seeds (chia, flax seed, walnut); and a form of Omega-3 called eicosapentaenoic acid (ETA), which is rarely found in food. Production of Prostaglandin E1 – an important hormone-like substance that is one of the chemical regulators involved in inflammation, immune function and many other biological processes. Nigellon – its main function is to support the respiratory system, so is good for disorders such as asthma and whooping cough. Beta-Sisterol – known for lowering cholesterol levels and for its anti-tumour and anti-carcinogenic activity. Saponin Melathin (anti-parasite) – contains strong cleaning properties and is used as a laxative to destroy parasites. Vitamin B1 – essential for normal growth and development. Vitamin B2 – required by the body to use oxygen and for the metabolism of amino acids, fatty acids, and carbohydrates. Vitamin B3 – essential in the breakdown of fats and protein. B – Carotene – is converted in Vitamin A (known for its anti-cancer activity). Selenium – has antioxidant, anti-viral and anti-bacterial properties. It is believed to reduce the risk of cancer, prevent blood clots, and inhibit chromosome damage. Arginine (or L-arginine) – a semi-essential amino acid, which is required for many metabolic processes. 15 Amino Acids – make up the protein content of the Black Seed, including all nine essential amino acids. Calcium – for teeth, bones and muscles. Also for hormones and blood clotting. Iron – used in the production of red blood cells and oxygen transportation. Sodium – maintains fluid balance, nerve transmission and muscular contractions. Potassium – is crucial for heart function. "A Remedy For Every Illness Except Death" - Part 2- discover what does black seed oil do. It has such a diverse range of activity to positively affect the body. What does blacck seed oil do. Everything this is my fisrt time hearing of this super herb. I really love this articl it has a lot of informative information in it. Especially information that I didn’t know anything about blackseed oil seem to be a miracle herb. It has so many healing properties and anti properties. Why is this herb someones best kept secret. Thank you for this wonderful article it is really informative. Hopefully it won’t be a best kept secret for long as it is increasingly becoming more and more popular in the West! Thanks for reading and peace be with you. Have a blessed weekend. I have heard about Black Seed Oil for some time now but for some reason I didn’t pursue it any further. However, suffering from arthritis in my joints and my husband being a diabetic I am always on the research to find something which, of course, is not a drug. I read all the parts very carefully and I am intrigued now to try it out with the hope to find some relief from my ailment. How long you are taking it now and can it be taken regularly or only for a time period? I’ve been taking it on a daily basis now since March 2018, mainly for my insomnia. It has really helped me to fall asleep more quickly and sleep deeper, which has led me to have quite vivid dreams! It’s also helped with my hay fever this year too. If you like, you can read my article here of my personal and positive experiences from using it. I still take it daily and will continue to do so as I can! As long as you don’t exceed the recommended dose of 3 teaspoons per day (and your’e NOT pregnant or trying to get pregnant), it’s safe to take on a regular basis. I really hope you do try it out and let me know of your experiences. Peace be with you and have a great weekend. This must be the wonder of GOD, science is only trying to explain but know not his those components that make up the black seed got into it, Do you think this seed is? what it does is build the white blood cells for more resistance to illness. Don’t you think the solution for HIV Aid or Ebola is close? With this break through in science. Thanks for educating me on some thing new like the black seed. Thanks for your comments. My belief is that herbs have been placed on this earth for us to discover and make use of and to further our knowledge into the wonders of this expansive yet fragile world we live in. I also call it ‘God’s Green Pharmacy’. With the rapid advancement of science and medicine, I’m sure there will a solution to HIV and Ebola soon. I’m really happy to have introduced you to this wonderful little plant and hope you make use of it and its healing powers. Peace be with you. Another really interesting read – I really have learned a lot since discovering your site a couple of weeks back. I’ve been looking through the extensive list of benefits/properties that black seed oil has to offer and I’m shocked at how many it has – is there another herbal option on the market that can offer this much, or is black seed oil pretty much up there on it’s own? It’s good to connect again. Black Seed is a very unique little plant that has been prized for centuries and used historically as a powerful medicinal herb for thousands of years in the Middle East, parts of Asia and Africa. Since 1965, there have been over 1000 different scientific peer-reviewed articles that have been published about the positive effects and health benefits of it. So, it’s medicinal uses are becoming increasingly popular in the West. Over 150 studies have been conducted over the last five decades purely to investigate the chemical and pharmacological properties of the small yet potent seed. It has been placed among the top ranked evidence based herbal medicines. I personally don’t think any other herb has had so much research in to it, so in answer to your question, yes, I believe Black Seed is pretty much up there on it’s own. Thanks for popping by and hope you have a blessed week. Peace be with you. Interesting. It is my first time to hear about black seed oil and its benefits. It seems that i missed something important.I wonder how i can get such fantastic seed to plant it in my garden.I learn something new with this review. The nature has miraculous power in its plants. I’m really happy to introduce this amazing little plant to another one of my readers. Nature – or “God’s Green Pharmacy” as I like to call it, certainly has its fascinating healing powers. The seeds or plants can be easily bought online. If you Google “Nigella sativa plants for sale”, it will definitely pull up a list of places to buy. I’m glad you have learnt something from the post and hope you return to let me know of your growing adventures of this powerful little plant. I have been looking into different methods of treating diabetes and inflammation naturally. I really enjoyed your article about black seed oil. I noticed that you said it should not be heated up as to avoid losing it’s potency. I was wondering then what the best way of taking it is. Is it best to be used as a spice in cooking, taken as a pill, or is a powder the best? When people are using it in cooking as a spice do the completely loose some of the benefits that it provides, or is it like any other growing thing where fresh is best but cooked is alright as well? Hi D W Mann and thanks for your great questions. Black Seed can be taken in number of ways. Oil form is the most popular way as this can be mixed with honey and taken on an empty stomach. The particular oil I use is recommended not to heat up as it can destroy the beneficial properties. They also offer 3 different strengths which no other company does. Capsule form is also quite popular as Black Seed can have a strong after taste, which some people can find quite bitter! Although they are more expensive, they are more convenient and easier to use especially if you are travelling. The seeds can be used in cooking and are popular in Indian, Persian and Middle Eastern cuisine. It’s added to soups, bread, curries and salads. The seeds themselves are carminative, analgesic, anti-fungal, anti-inflammatory, antioxidant and antibacterial. The seed can also be used to make a herbal tea . If you are interested in purchasing or gaining more information, please visit here. Hope this helps in your quest to treat you ailments. Have a great week and peace be with you. I am a big fan when it come to types of herbs and am always on the lookout to try out more types as like you listed in this post there are numerous benefits to using them. Its crazy to learn to goodness you can get from these herbs. I am big fan of herbs such as Ginger and have a cup of ginger root tea that I cook every night, it makes me feel healthy and good about myself, plus the taste is delicious which is always a bonus. Great to hear you’re a huge fan of herbs, you’ve come to the right place! I love ginger tea too, although I drink mine first thing in the morning so it keeps me warm through the day. Plus, it helps with the cold season to ward off colds and chills. I hope you get to read the other parts and let me know of your thoughts and comments too. Have a great week and peace be with you. You’re absolutely right, Black Seed Oil definitely has many multi-purpose uses. I take it daily on a n empty stomach plus I carry it in a roller-ball bottle in my bag just in case of any bumps and bruise, especially with a toddler around! So happy to hear you will follow my future articles. Don’t forget to read part 1, 3 and 4 too. Take care and peace be with you. So, I read on to your next 2 articles and finally ended up on a website where they do sell the oil. Unfortunately, they are out of stock. Do you have any other suggestions as to where I could get myself some? Really happy you found my article helpful for your condition. It seems odd that they are out of stock as I just ordered some more a few days ago! I ordered a STRONG for myself and an ORIGINAL for my son. Could you let me know which ones you were looking at in particular? They do suggest to start with the MILD for beginners and work your way up slowly. I am not into “essential oils” so thanks for introducing me Black Seed Oil. I never heard of it before till I came across to your article. It is surprising to know that it has lots of health benefits and usage, I think I am going to check it out. Thanks again for sharing and wishing you success. Glad I’ve introduced this amazing little plant to you and hope you do try it out and return to let me know of your experiences with it. Thanks for your well wishes and peace be with you. No wonder Teresa you are doing a multi part series of articles for Black Seed Oil, it sounds amazing. I use essential oils regularly, I loved your First Aid Herbal Kit by the way and have not yet come across Black Seed Oil. It is fantastic how we can continue to learn and grow through our online research and connections. I loved the statement, ‘a remedy for every illness except death’! Fair enough. When you mention it is good for daily use as a home remedy but also can treat chronic diseases is it simply a change of dosage/concentration levels depending on the needs? I’m really happy you appreciate why I’ve had to write a series about this powerful little plant! I truly loved reading, researching, writing and sharing it! In answer to your question, yes its is a case of the change of both dosage and concentration. However, it isn’t recommended to exceed more than 3 teaspoons per day. The company I use for Black Seed offers 3 different strengths – MILD, ORIGINAL and STRONG – their STRONG strength is the strongest in the world due to its volatile oil content which ranges between 4.6%-4.9% dependant on each batch. They recommend starting off with the MILD first and work your way up. 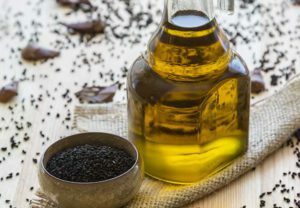 Please read their dosage guide on how to take Black Seed Oil properly as they do warn to treat the oil with respect and caution as it is such a powerful detoxifier. I hope this helps and peace be with you. I’ve done a lot of research over the years because I have digestive issues, but I had never come across black seed oil. I went back and looked at part one and I can see that it is not common here in the western world. When I saw the term black caraway, it tickled a slight memory. I think I’ve seen reference to it by that name before. But the memory is vague. I would be particularly interested in the anti-bacterial and anti-fungal properties because the digestive issues I have sometimes respond well to things that address those issues. I’ve used grape seed extract with some success before. I’m happy to have introduced you to this amazing little plant! It really has some truly remarkable properties and it can possibly help with your issue as this review shows. If you have time please read my further article into the series to find out what it’s good for here. Take care and peace be with you. Thank you for your high quality article! I hadn’t heard specifically of Black Seed oil until this post but I am SUPER interested in trying it out. I have been living in China for about a year now and have been fortunate to learn a little about their approach to natural medicines and teas as proactive self care. I find that in the U.S. we often prescribe medicine AFTER sickness has occurred instead of taking proactive health approaches. I am developing a business to encourage eco-friendly, toxin free living and one thing that I have found to be a bit of a conundrum is that many wonderful products (such as essential oils, all natural minerals, etc.) are sourced and manufactured in ways that are quite harmful to the planet. I am curious if you have any information about the manufacturing and sourcing of black seed oil? I would really like to give it a try but I also don’t want to contribute to unsustainable manufacturing practices or overly depleting the planets natural resources. Thanks so much for some really excellent information about this apparently miraculous natural oil! Thanks so much for your comments and positive vibes. I absolutely understand where you are coming from in terms of ethical purchasing and practices. The company I use for Black Seed offer 3 different strengths – where their STRONG strength is the strongest in the world due to its volatile oil content which ranges between 4.6%-4.9% dependant on each batch. This is a short synopsis of what they do, but if you are interested, please read the following About Us section of their site. Glad you enjoyed the read and happy to connect with you. Take care and peace be with you. Hi Kenny and thanks for your comments. It’s a fascinating little plant and I loved researching and writing about it! The amazing thing is that a lot of the health benefits are backed up by modern research. It’s becoming hot topic in the West because of this. I hope you get to read part 1 and parts 2,3 and 4 and let me know of your thoughts too. Happy reading and peace be with you. Super information for someone like me that’s never heard of this before, it sounds amazing! My daughter has allergies to our dogs so when she comes to visit she suffers even with antihistamines. I’m going to pass this information on! Celiac and leaky gut is also an issue for her and I wonder if it would be of benefit if she gets accidentally “glutened”. Celiac as you know, is an autoimmune disease – and due to the immunomodulatory effects of Black Seed, it can certainly help with autoimmunity as it can help regulate and support the immune system. I’m sure your daughter can benefit from using this. A study into immunomodulatory actions of the plant can be found here. Hey Teresa, was looking into the benefits of Black Seed Oil. I am glad I ran across your site. Recently, I’ve been having a stomach issue (Gastric). I am starting using Black Seed Oil at the advice of a friend. I see some positive results. that’s great news – can I ask which one you are using? A review on Black Seed Oil focusses on the regenerative effects for gastric ailments. Here’s the link. Here’s a link to one of my posts regarding what else Black Seed is good for. Hope you find it useful. I have always wondered what’s the purpose of Black Seed oil. It’s good to know this product has such wonderful health benefits. Interesting information on the health benefits. I certainly need to take some to ward of inflammation. Thanks for reading and glad you found the article informative. Let me know of your experiences of taking it. I took it for two weeks and noticed a difference in my sleep! I’m pleasantly surprised it didn’t take long for a natural product to start working. Enjoy your weekend! 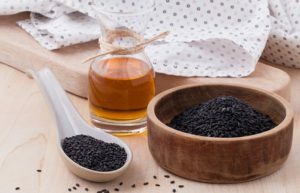 I must admit I have never heard of Black Seed Oil prior to reading this article. I am amazed at all the benefits it offers. It’s like a complete pharmacy in one bottle! I am always searching for healthy natural ways to treat illness and this is definitely something I will be buying in the future. you’re right there – it is a complete pharmacy in one bottle! I’m a lover of all things natural and love meeting people that are the same, so really happy I’ve introduced Black seed Oil to you and it’s powerful health benefits. I hope you can return and let me know of your experiences with this. Peace be with you on this glorious sunny day! Hi! It’s a very educational article. I’ve heard about black seed oil but I didn’t know it is that good for us. I learned something new today. Thank you for sharing. I always strive to learn something new myself every day and I’m very happy that my article has taught you something new today! Take care and have a great weekend! I have recently been using essential oils and I’m learning more every day. This is the first time learning about Black seed oil and its many uses. I’m looking forward to learning more from you. Thanks for the information. you’re most welcome. I love spreading the word of what I’ve discovered with plants and their amazing healing capabilities and Black Seed Oil is no exception. Glad you enjoyed the read and hope you can benefit from it. Peace be with you. Your article is very informative. I never knew how beneficial black tea oil is. I have heard a little about it before, but this is some very good information. thanks for your positive comments and really happy you found the article useful. Have a great weekend.